(BBC): US Defence Secretary Robert Gates has expressed concern that drugs traffickers will begin using routes into the US through the Caribbean. He told leaders in Barbados he wanted to work more closely with the region as pressure on Mexican routes was likely to make smugglers shift their efforts. Caribbean leaders say drug traffic in the region is already increasing. They believe the trade through the islands is already increasing as the US pours hundreds of millions of dollars into the fight in Mexico. At a regional security conference in Barbados, Gates emphasized the need to tighten coordination between anti-drug efforts in Latin America, the Caribbean and the US. (Reuters): Over the past year, the OECD has hailed the declining number of countries on its ‘grey list’ as progress in the campaign to stamp out untaxed cash flow across the world, but critics say the compliance bar was set far too low. 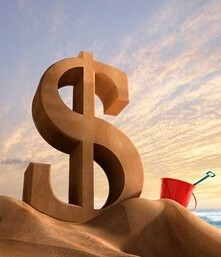 The amount of money in tax havens has been estimated at $11.5 trillion by the Tax Justice Network, an independent advocacy group and spurred by public outrage over bonus-earning bankers and frauds by wealthy financiers, G20 leaders launched a campaign in April 2009 to name and shame tax havens. But some say the havens are still getting off lightly, and that it is more or less business as usual. (CNS): The chair of the Public Accounts Committee, Ezzard Miller, said he wants to see the process by which the auditor general’s reports are released to the public formalised and clarified before the new AG takes up the post. The independent MLA admitted that there was ambiguity in the way reports are made public documents and he said parliamentary Standing Orders needed to be changed so that the reports would be laid on the table of the Legislative Assembly to make them public, as is the case with every other type of government related report. Following the latest disagreement between Miller and Dan Duguay over when the updated version of the State of Government Financial Accountability should be released to the public, Miller said the Standing Orders needed to be changed to make it clear so there can be no misunderstandings regarding when these reports can be in the public domain. He explained that at present there was no constitutional authority for any auditor general to release the reports from the office into the public domain as that was the role of parliament. He said the auditor general was independent and free to choose the investigations carried out by the office, but once the auditor and his or her team completed those reports they became the property of the Legislative Assembly. Miller said he had made suggestions some time ago to change Standing Orders to remove the current ambiguity and said he had again spelled out the changes that were needed in the PAC annual report. Miller said the latest report from the AG was very important and it needed to be a public document and he had no intentions of trying to prevent that from happening. However, he noted the procedure had to be followed, which meant he needed to ensure all members had seen the report before it was declared a public document, and he was doing everything he could to expedite that process under the current agreement made between the former PAC chair and the current AG. “My performance as chair of PAC has demonstrated my commitment to getting these documents into the public domain but it must follow a legal process,” he added. Miller noted that in the wake of the news that there would be a new AG coming in July it was even more important that the current uncertainty about the reports was removed. At present, under the written agreements made between Duguay and the former chair of PAC, Osborne Bodden, the AG reports would be brought to the Legislative Assembly for the members, and two days after they received them the report would be public. However, the question about how the members confirm receipt if the House was not in session was never clarified, Miller has claimed. He said he had to be certain that all members actually had the report, which was why while the House was not sitting as was the case now, he was having to contact members to ask them to collect the report. Miller said that circulating the document by email was not sufficient since one could not be sure the members had seen the email and therefore opened the report, and he said he wanted members to sign to say they had it so there could be no question of any claiming they had no knowledge of the content. Duguay took his latest report regarding the state of government finances to the LA on Wednesday and in the past he would have circulated the report on Friday. However, the report has not yet been released and the contents remain a mystery. CNS will continue to call the PAC chair until he gives his OK for this latest key auditor’s report to be disclosed. (CNS): Speculation that work could start on the derelict former Hyatt Hotel in the Seven Mile Beach area before the end of the year could become more certain as a result of a planned move by government. The premier told CNS on Thursday that he intends to introduce a $25,000 daily environmental impact fee to property owners who leave properties to deteriorate in hotel zones, as has been the case with this site. McKeeva Bush said he had given the developer in this case more than enough time to address the problem and it was now time for government to take direct action. 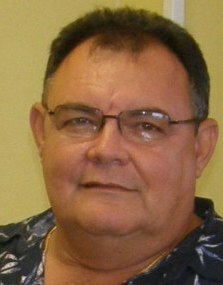 Whatever the continued dispute regarding the insurance settlement and the fact that the government has goodwill towards the developer, he said, it is six years since Hurricane Ivan and the situation with that particular site is having a serious impact on the area in general and other property owners. He said he hoped to bring the necessary legislation to the Legislative Assembly sometime during May, which would not only force the owner to take action regarding the Hyatt but serve as a warning to others in the future not to allow properties to seriously deteriorate. 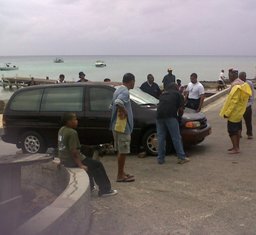 Aware of the continuing dispute, Bush said he had been asked to intervene, but he said the government was not in a position to interfere with the court’s decisions and whatever the owner’s battle with the insurance firms, the premier said he had to consider the impact on Cayman. Recently, the general manager of the Grand Cayman Beach Suites (the new name of the property since the Hyatt removed its branding as a result of the problems with the part of the hotel to the north of Seven Mile Beach) said that most of the insurance issues were settled but there remained an outstanding issue with one insurer. Powers has been outspoken in the press about the situation recently on behalf of Embassy and Asif Bhatia, the owner of the hotel, and has accused Houston Casualty Company (HCC), one of the many insurers involved, of failing to honour its commitment. Appleby, the insurer’s law firm, has denied the accusations, however, on behalf of HCC (see Letter to Cayman News Service and Cayman Net News) and noted that the hotel cannot use this part of dispute as an excuse not to develop as they are such a small part of the picture. Furthermore, Appleby said, the public statements made on behalf of Bhatia and Embassy by Powers have been false and misleading. HCC claim to have a number of legitimate reasons to decline Embassy’s claim, which is the subject of legal proceedings in the Grand Court. The lawyers also asked why, when so much of the claim is settled, those insurance proceeds are not being used to reinstate or repair the hotel. Appleby also revealed that, aside from the insurance policy dispute that remains pending, there is a further contractual dispute, which is subject to arbitration proceedings in London. “A final Award has recently been issued in those proceedings, which provides a clear picture of the course of the unresolved policy dispute between Embassy and HCC and casts light on why HCC has not been able to settle the dispute with Embassy. HCC would like to release the final arbitration Award so that the people of Cayman can benefit from this full picture,” Appleby said, adding that Embassy are refusing to disclose this award despite going on record saying they want to provide the people of Cayman a proper context in the interest and openness and transparency. “HCC invites Mr Bhatia and Embassy to consent to the Award being published to the people of Cayman,” Appleby’ said on 1 April. In response, Powers said on behalf of Bhatia that he welcomed the fact that Houston Casualty Company had chosen to engage with Embassy in a more public forum. However, Powers did not reveal the details of the award or any timeline for the planned re-development of the site, as asked by CNS and of major concern to the people of Cayman. The general manger said more was at stake than the reinstatement of the hotel, given Cayman’s vulnerability to hurricanes. 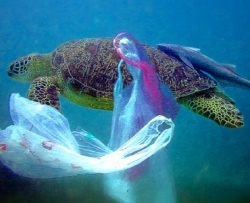 (CNS): For several years now a number of people concerned about the growing environmental issues in the Cayman Islands have been campaigning for local businesses to reduce the number of plastic bags they use and give to customers. Three local supermarkets on Grand Cayman had now agreed to join the fight against the bags and will be replacing their current bags with bio-degradable bags, for which they will introduce a charge of 5 cents from June to encourage customers to reuse old plastic bags or the reusable shopping bags. The new push to eventually eliminate plastic bags from the islands comes at a time when a new network organisation has been formed to promote more sustainable initiatives and improve Cayman’s currently inadequate green credentials. In June 2009, Deloitte and the Sustainable Development Unit of the Department of Environment (DOE) struck up a partnership to promote and support the implementation of environmental projects and sustainability initiatives in the Cayman Islands. From this partnership has come the “Corporate Green Team Network”. “Both Deloitte and the DOE recognized that many companies were trying to do their bit for the environment, but often felt they were working in isolation, so a network was started to provide a platform to come together, connect, coordinate efforts and ultimately work towards the same goal – the sustainability of the Cayman Islands,” a spokesperson for BECOME said. The plastic bag reduction campaign kicked off at the beginning of April — Earth Month — and hopefully Fosters Kirks and Hurleys will be the first of many to join in the goal to eradicate them from the islands. In Cayman we use over a million plastic bags a month from the supermarkets alone, which will all end up in one place — the landfill, or even worse, in the ocean, where the bags can have a serious impact on marine life. There is a lot that can do to address this, not least changing old habits. The Cayman BECOME campaign, therefore, aims to promote the use of reusable shopping bags instead of plastic, and to encourage members of the community to bring their own reusable bags when they shop. Foster’s, Hurley’s and Kirk supermarkets have committed to replacing non-degradable plastic bags with biodegradable versions, and introducing a charge of 5 cents for these plastic bags from 9 June with plans to eventually get rid of plastic carrier bags altogether. All the supermarkets on Grand Cayman supply sturdy, comfortable, roomy reusable bags for a small fee, and these will continue to be sold in stores. On Cayman Brac, reusable bags can be purchased at Billys Supermarket and The Market Place. (CNS): Provided it gets the okay from the Liquor Licensing Board, local wine merchant Jacque Scott says it will be opening a new store in West Bay on the site next to Foster’s Food Fair by the end of next year. There are already a number of small liquor stores in the district but none of the islands’ retail chains have a major presence in the area. While Tortuga has a small store by the Turtle Farm, which caters to the cruise ship market, West Bayers generally buy their liquor from local stores. West Bay is currently the only district where shops selling alcohol can remain open till 10pm. The last store opened by Jacques Scott caused considerable controversy as it was in the Savannah area of Bodden Town — a neighbourhood that, with the exception of the restaurant at Pedro St James, had been a traditionally ‘dry community’. Moreover, the store, which is part of the Countryside Shopping Village, is particularly close to the local primary school and raised considerable opposition. This time the store owners are planning to bring their store to a district that is home to around 11,000 people served by four package liquor stores. Believing the market to be ready for a fine wines and spirits merchant, Jacques Scott said it would be making a CI$3 million investment in the district. The firm noted that it would be employing professional security during store hours, adding that it thought the store would be a valuable and positive addition to West Bay. The wine sellers said local contractors would be given the opportunity to bid for the project and to work alongside local architects and the designer. The new building will offer around 4000 sq ft of new commercial premises, the release said. 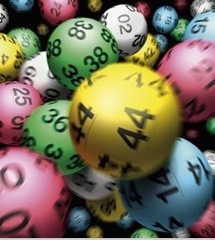 (CNS): Former government minister and current talk show host Gilbert McLean has only managed to collect 468 signatures on his petition for a national lottery in the Cayman Islands. McLean had originally said he wanted to collect enough names to trigger the country’s first ever people led referendum. However, the Rooster morning talk show host fell far short of that goal by several thousand names. Instead McLean has handed in the petition to government in the hopes of encouraging it to consider introducing a lottery based on the one held in Florida. The talk show host told Cayman 27 that he had been collecting signatures for the petition for six months. McLean first spoke with CNS about the lottery when he began the petition at the beginning of October last year. He said he hoped to present a petition to government requesting a referendum for a lottery to raise revenue for government and redirect the money which is currently illegally spent on numbers here in Cayman. McLean said at the time that a formal survey authorized by government around ten years ago, which included the private sector, estimated that illegal “numbers” gaming produced almost one million dollars per week, and some believe it might reasonably have doubled by now. To have forced government to create a ‘yes’ or ‘no’ ballot McLean needed almost 3,500 signatures from registered voters which have not materialized and it will now be up to government whether it decides to hold a referendum on the subject. McLean said on Friday that McKeeva Bush had the opportunity to take his petition forward and see what the referendum revealed. The Premier had previously said he would be happy for the public to vote on the issue through a special referendum but with little evidence of support he is unlikely to risk alienating the churches with a ballot who have vehemently opposed the idea. (CNS): Alocal fisherman was still inside his people carrier on Friday afternoon when it along with his trailer ended up in the water at the West Bay pier. Emergency services were called to the location and the man who was uninjured was rescued safely, however, his vehicle is in much poorer shape. As the fisherman reversed up to the dock to bring in his boat after a day’s fishing, the vehicle apparently slipped from its gear and the man was unable to prevent it from being pulled into the ocean as it rolled down the steep ramp. Heavy equipment was used to haul the vehicle from the ocean and fire crews pulled the trailer out by hand. (CNS): Cayman Wildlife Rescue is asking the public to take care when they see what they think are baby birds in trouble. The wildlife activists are asking people to watch closely before handling the young creatures. 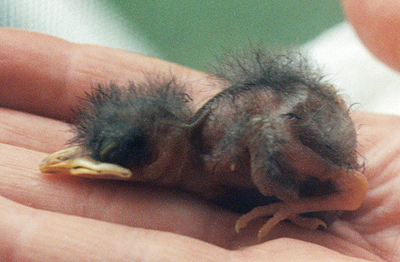 The organization which has a rescue helpline for injured birds pointed out that at this time of year some birds could have fallen from a nearby nest or others could be fledglings (left) that are learning how to fly. Offering details on how to spot the difference the organization is also asking gardeners to watch out when pruning trees. If a bird is hurt the public can call the Cayman Wildlife Rescues Emergency Hotline 917-BIRD (2473) and a volunteer will pick it up for veterinary care. If the bird is not visibly hurt, but cannot fly next look to see if it is fuzzy or feathered. If the bird is fuzzy, not well feathered and lying on the ground it is a nestling and belongs in a nest so look around to see if you can find one. The bird experts added that there is not a nest one can be made out of baskets or plastic containers drilled with holes for drainage. Line the new nest with pine needles, dried leaves and parts of the old nest if possible – making an indentation in the middle. Firmly attach it to the tree where the nestling fell from and gently place the nestling inside. 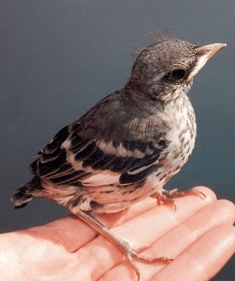 If the bird is well feathered and hopping on the ground it is a fledgling – a baby bird learning to fly. The parents should be nearby and will feed it on the ground. If the young bird is not in a safe place it is OK to move it into a nearby tree or bush away from cats and dogs and watch for the parents to return. If no parents come back within 2hrs notify Cayman Wildlife Rescue. The organization advised the public not to attempt to care for wild animals but to always notify Cayman Wildlife rescue for expert care. CWR also asked gardeners to be extra cautious when pruning tree or shrubs and to be a responsible pet owners. “Cats and dogs running free can easily kill baby birds learning to fly. Keep you dog safe in your yard and your cat inside to protect Cayman Wildlife,” the CWR said. (CNS): The first of a seven-series drag racing event, sponsored by Automotive Art, was off to a great start last Saturday (10 April 2010) when eight hit the race track in Breakers. Two of the cars were 5-second racers – Dante “Ross” Hydes in his Honda CBR and Sammy Jackson in his 2000 Camaro boasting over 1000hp. Each racer made two qualifying passes, and then they were placed into their respective groups following the new “Quick 8” format. This new format allows for “Run What You Brung” racing and after everyone is qualified, they are placed together with a group of their closest competitors defined by time. However during the race, competitors may only go 0.2 seconds faster than their qualifying time. Even with the low number of competitors the new format worked well and it promises to add to the excitement of close racing at Breakers. After qualifying the competitors were split into three groups; in the low 8’s Jason Henry in his SER placed first, beating the new fastest female driver Manuela Cornelssen in the GMC Denali truck. In the upper 6-second class, Cliff Weeks in his Yellow Evolution III beat Kenrick Baker in his Lancer GSR and both posted faster times as the night progressed. In the sub 5-second class were giants Ross and Sammy, bike VS car. Because of safety rules the bikes are not allowed to race bikes at the same time so the winner was determined by total time of reaction time added to Elapsed Time. Ross posted a good time in the low 6’s that normally would not be enough to best Sammy who had been running 5.8’s earlier in the night. However as is always the case in racing, things can and do happen. On Sammy’s run the car got a little squirrelly at half track and he had to get out of the throttle, handing Ross the win. After the race Ross showed true sportsmanship by asking for Sammy to get another clean run. However the run was upheld by all parties and Ross took home the prize money. Racer Keith Tibbetts, overly impressed with the races, said, “The track was prepped great and I had lots of fun”. Spectators also enjoyed the races cheering on their favorite cars and bikes. 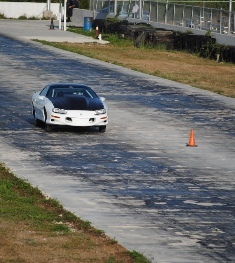 Cayman Motorsports Association would like to thank the volunteers, participants, sponsors and Robert Campbell. For more information or to join the Cayman Motorsports Association, email racing.cma@gmail.com.